The musician’s announcement surprised many. 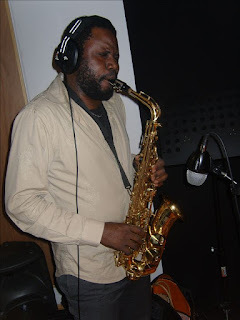 Kenny G is big fish; moreso the bestselling act had never been to Nigeria. 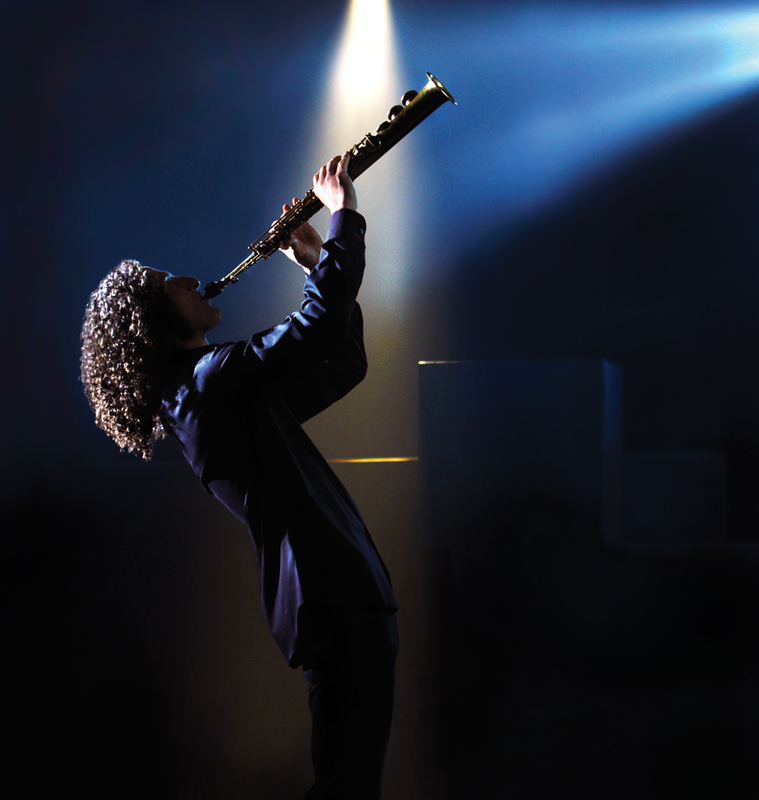 Born in Seattle, Washington to a Jewish family, Kenny G grew up in a Jewish community. His first contact with a Sax was at age 10, when he heard someone performing with one on The Ed Sullivan Show. He has since then grown to become a successful instrumentalist whose recordings make the pop charts, and rock fans on all four corners of the earth. Aremu says seven of Kenny G’s aides will leave their base in Vilnius, Lithuania on Friday on Friday July 1, 2011 to set up in readiness for his arrival from Warsaw, Poland(where he is currently performing) on Saturday, July 2. He is expected to come to Nigeria with an 11 man crew including sound engineers, backup singers, security personnel and his management team. Joining Kenny G on stage is two time Mobo Award winner Yolanda Brown who last year teamed up with Aremu and Judith Sephuma from South Africa. With a brilliant live performance by Sephuma laced with wit and charisma, the trio claimed the crowd’s attention at The Shell Hall Muson Centre on Saturday July 24, 2010 as Brown and Mike Aremu supported Sephuma’s vocals with powerful saxophone solos. Other acts this year include rising Nigerian Singer Waje and South Africa- based Nigerian guitarist Kunle Ayo. 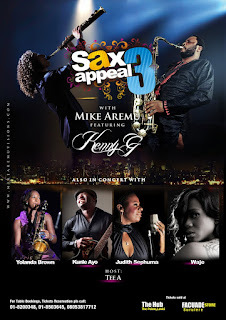 This is the first time Waje and Kenny G will be performing at Sax Appeal. Sax Appeal, a concept of Mike Aremu Vision is geared towards the Rebirth and Promotion of Live Musical Performances in Nigeria also aims at creating a platform for interaction between Sponsoring Organizations, Corporate Executives and Entrepreneurs com ing together under an Entertainment- Friendly Environment. Past editions have featured Bez, Tosin Martins, Judith Sephuma, Cobhams, Yolanda Brown, Kunle Ayo, Yinka Davies and Mike Aremu. Produced by Mike Aremu Vision and Supported by Classic FM, The Beat 99.9 FM, Naija FM and BHM Group, the gig will be anchored by stand- up comedian Tee- A.